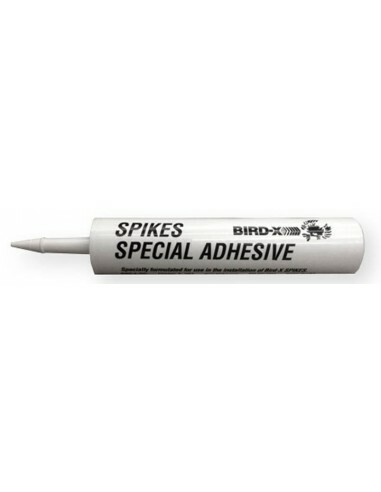 Builder's Choice 490 Liquid Nail is a more permanent way to place the Bird-X Spikes ! 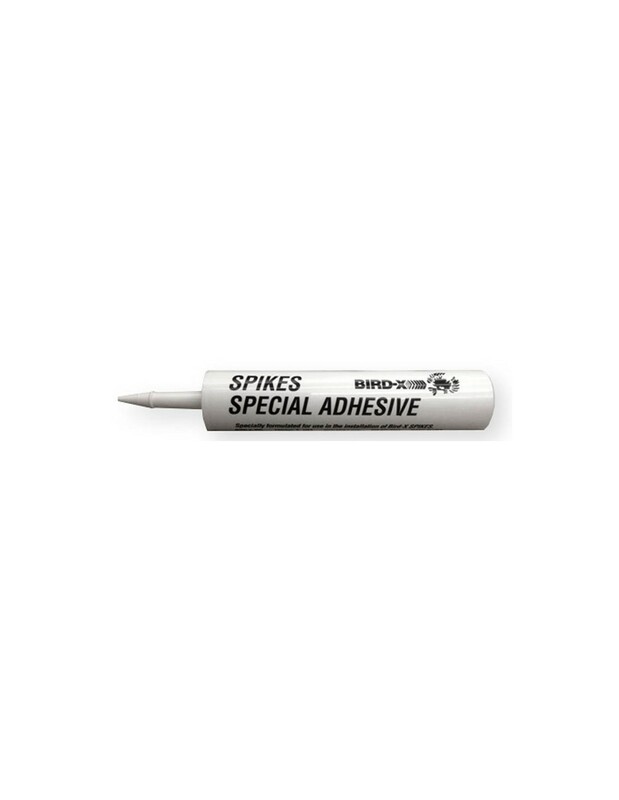 B-X Spikes Special Adhesive is great for decks, siding, docks, fencing, stairs, treated lumber, metal, marble, plaster, concrete, and other common building materials. Heavy duty, flexible adhesive formulated for exterior construction projects. Penetrates and bonds wet, frozen, and treated lumber. Bridges gaps up to 3/8". Freeze/thaw stable. Use on decks, siding, docks, fencing, stairs, treated lumber, metal, marble, plaster, concrete, and other common building materials as well as exterior construction projects. Penetrates and bonds wet, frozen, and treated lumber. Bridges gaps up to 3/8".